Explanation: Anchored in the vast lava flows of the Moon's Oceanus Procellarum lies the Aristarchus Plateau. Recorded from a backyard observatory on planet Earth, this sharp, amazingly colorful view nicely captures the geologically diverse area, including the brownish plateau, Aristarchus and Herodotus craters, and the meandering Vallis Schroteri. 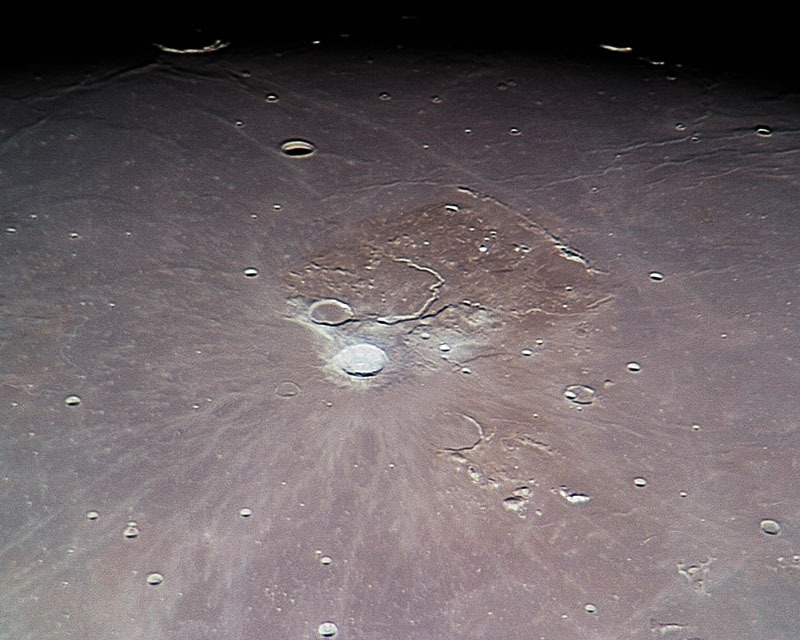 The bright impact crater at the corner of the plateau is Aristarchus, a young crater 42 kilometers wide and 3 kilometers deep, surrounded by a radial system of light-colored rays. Only slightly smaller, lava flooded Herodotus crater is above and to the left. 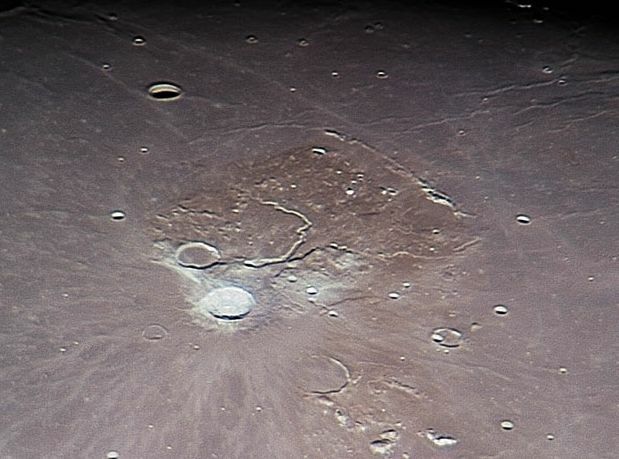 A valley or rille feature likely carved by rapidly flowing lava or a collapsed lava tunnel, Vallis Schroteri begins just to the right of Herodotus and winds across the plateau for about 160 kilometers, eventually turning toward the top of the picture and the shadow of the lunar terminator. Aristarchus Plateau itself is like a rectangular island about 200 kilometers across, raised up to 2 kilometers or so above the smooth surface of the lunar Ocean of Storms.